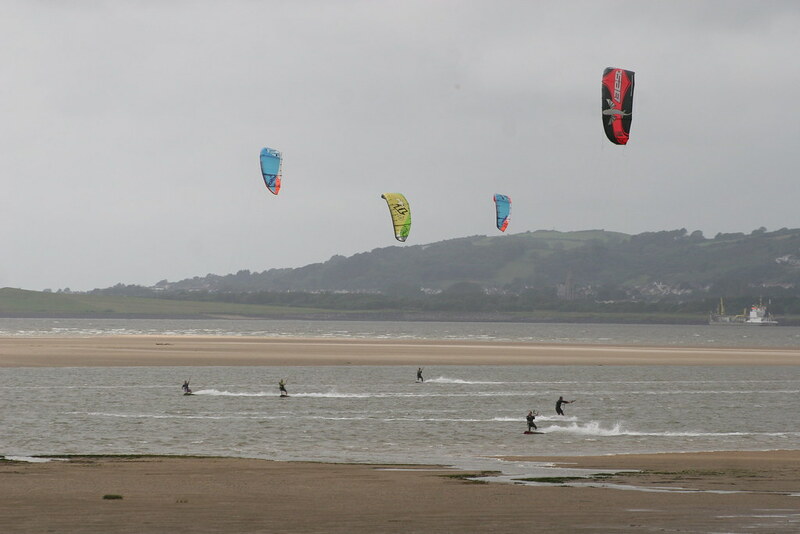 Gower has some fantastic beaches to Kitesurf on, The Gower peninsula is very unique in that it’s one of very few places where no matter what the wind direction is – you can always find a safe beach to go Kitesurfing. Located about an hours drive from the Severn bridge. it a long and sometimes muddy walk to the water at low tide. Various other entry/exit points near the city. WATER QUALITY – OK, murky appearance width Tidal push – There are storm drain outlets so watch out in heavy rain as water quality diminishes. Situated at the Northwest tip of the Gower. Access is through Llangennith and Straight over at the small roundabout following the road until you reach the caravan park at Broughton Farm. Broughton bay is mainly a sand beach with large sand spits and shallow tidal lagoons which can shift with the tides. As the tide drops back there are numerous small patches of rocks exposed by the shifting sands to watch out for. WATER QUALITY – Good, slighty murky at times and weedy in summer. TIDE- Best at LOW – The estuary to the North is renowned for its fast flowing tides. Best times to ride tide low to mid. WAVERIDING – Fantastic wave riding , best conditions NW at mid tide/high tide and huge swell! 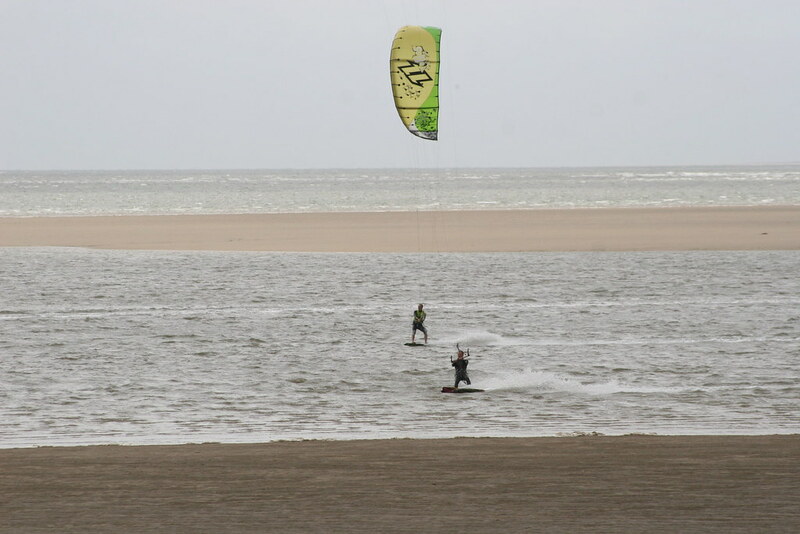 Pembrey is a fantastic 8 mile sand beach with acres of space, its location make it a little out on a limb, but this doesn’t stop Kiters flocking to its tidal lagoons and superb variety of riding conditions. to wave ramps coming in from the Atlantic. BEST WIND CONDITIONS – SE,S,SW,W, WSW – the wind always seems stronger here than other places in the area. WATER QUALITY – Good, slighty murky at times and flotsam/ debris in the water sometimes. TIDE- Best at LOW – The estuary to the South is renowned for its fast flowing tides. Best times to ride tide low to mid. 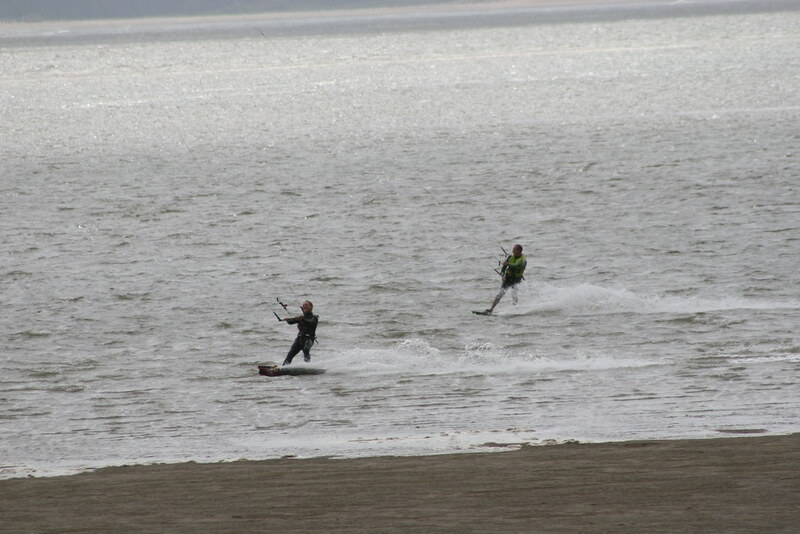 RIDING CONDITIONS – flat water, waves and 8 Miles hard flat sand beach ideal for kite landboarding, buggying and Land yachting. There is a Flying zone on this beach. Located 15 minutes off the M4 junction 48. The millennium coastal park is home to North dock and a good place to check out if your not so keen on waves or choppy water as there is little or no swell window unless the waves are huge. The car park is right next to the beach with a great Café in the discovery centre and toilet facilities. The water at Low tide is a Huge long walk , do not attempt it ! as the tide comes in the water gets deeper but remains relatively flat as the Sand banks stop too much chop forming. TIDE – IMPORTANT !! best on SMALL TIDES (9-10.5M) mid – high rising or falling. 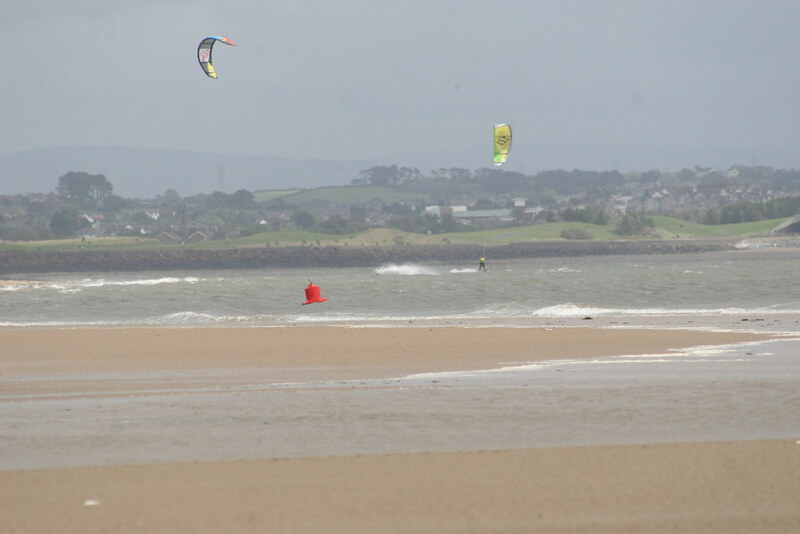 This beach can get busy with windsurfers! there is a parking charge for beach access. A large flat hard sand beach with a small pebble bank bordering the dunes. The centre of the beach is popular with surfers and bucket and spade brigade. The beach picks up the most swell in the area. 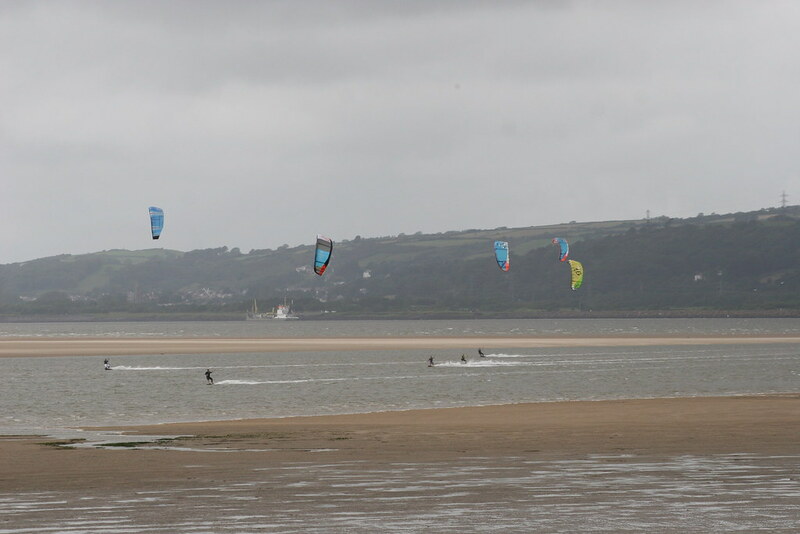 ALL KITE FLYERS TO SET UP/FLY NORTH OF THE STREAM CROSSING THE BEACH. You can also access the beach via Rhossili , but the walk to the beach is a long walk down the hill and the wind is usually a bit gusty because of the cliffs. 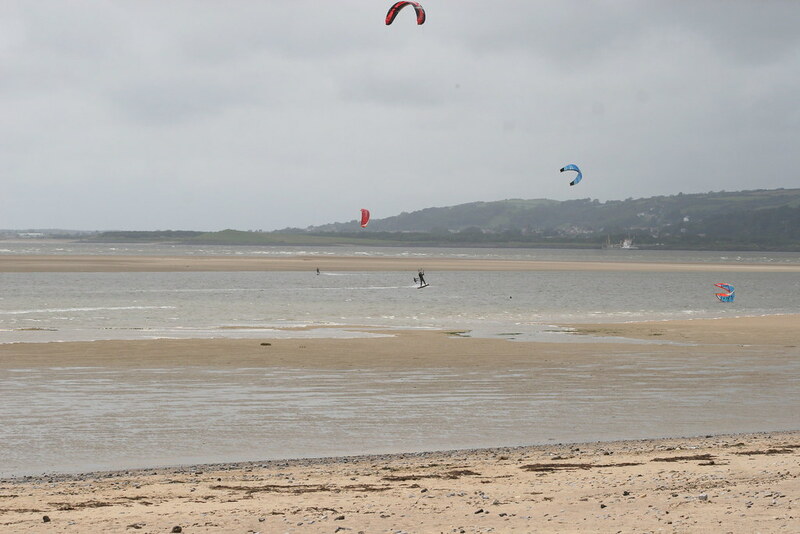 WATER QUALITY – Murky appearance due to Lougher Estuary. TIDE- Best at mid – All tide conditions (High tide :To be observant as beach space is limited) Low tides BEWARE the wreck on big low tides. RIDING CONDITIONS – waves/chop rarely flat. (Snack kiosks in the car park and a shop near the entrance of the car park are open in summer months) The Oxwich Bay hotel overlooks the beach and serves food and drink. Large flat hard sand beach with no rocks or submerged hazards. Only the largest winter swells make it round to this sheltered bay. Popular with Jetskis, motor boats and holidaymakers in the summer. 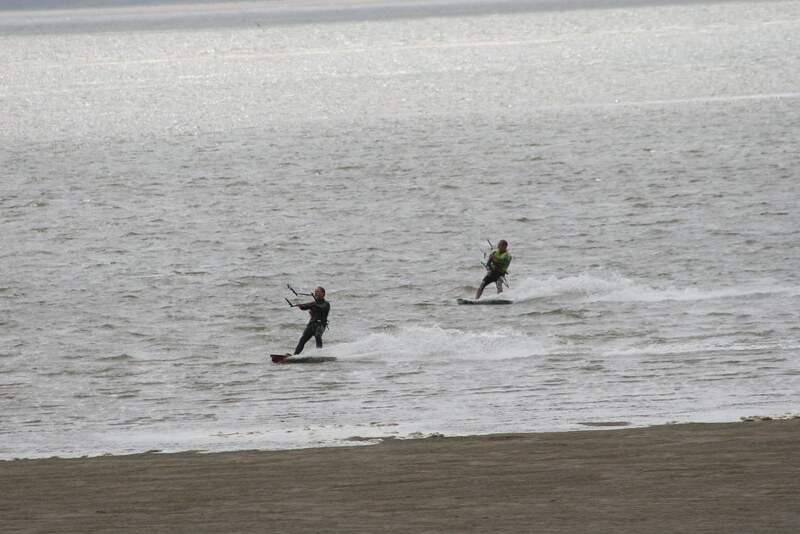 BEST WIND CONDITIONS – S,SE,E – SW,W are offshore in carpark. 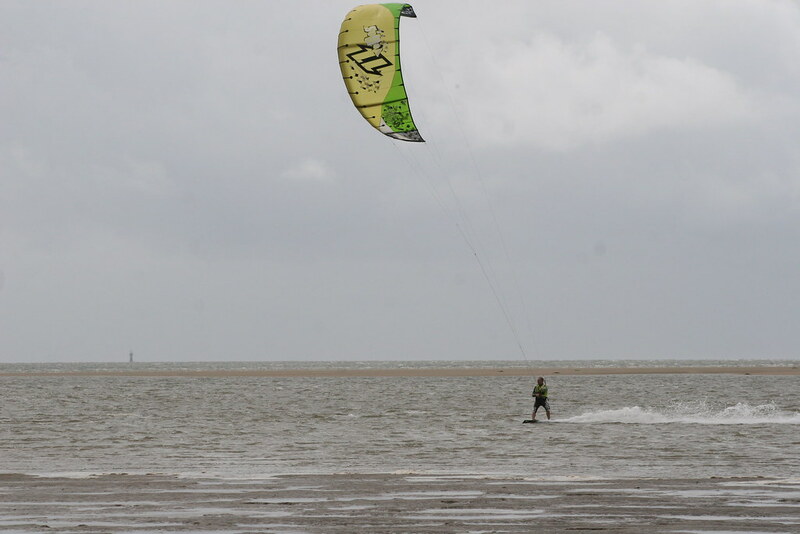 Disclaimer: GKR provide the information on beaches set out [above/on the following pages] because it wants to be a good citizen and to help promote the sport of kiteboarding. However because the potential liability that provision of this information might otherwise result in, GKR provides the information on a strictly no reliance basis, no duty of care is assumed, and GKR excludes its liability for the information to the maximum extent permitted by law. Please remember to observe your own beach assessments.